In 2013, we counted 158,000 Rapid riders with ArtPrize wristbands during the event. This number was up 18 percent from ArtPrize 2012. As the Grand Rapids’s international art competition grows in popularity, so does the need for effective transportation options during the event. 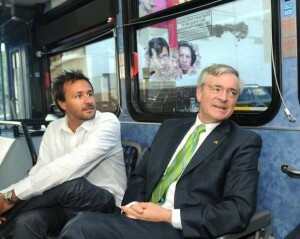 Never fear, bus rapid transit is coming to the rescue. With the Silver Line set to open on August 25, 2014, ArtPrize 2014 has chosen to use the bus rapid transit stations as stepping-off points for walking routes. The 2014 event is scheduled from Sept. 24 to Oct. 12. During this time you’ll be able to more easily access ArtPrize venues via walking paths that start and end at stations along the Silver Line bus rapid transit route. And for those traveling into Grand Rapids looking to avoid downtown parking and traffic, the Silver Line route will also feature a free park-and-ride lot. Located near 60th and Division this free parking lot will feature about 200 spaces. We have no doubt it will be a valuable commodity during ArtPrize and other events moving forward. Read the full Grand Rapids Press article about transportation options available during ArtPrize here. Are you a Real Rider of The Rapid? If you’re interested in being featured as a part of our series, we’d love to hear from you. Submit your story for consideration by clicking the link on the right side of this blog. Believe it or not, riding the bus here in Grand Rapids (yes, even just once in a blue moon) gives you the skills you need to travel globally. Whether it’s trying out a new public transportation system in another city like Chicago, traveling by airplane, or even riding the streetcars in Budapest, you’ll have the attitude of a pro. Sure, not all public transportation systems are identical, but learning the “ins and outs” of one makes you sharper when it comes to others. Don’t believe us? Let Dan. K win you over. It takes me where I need to go — to work, the YMCA, and to visit family. Getting where I want to go without having to wait for someone to drive me. It’s great for spur-of-the-moment travel. There’s always something to do here. I like the Whitecaps, seeing shows at Van Andel Arena, ArtPrize, and fireworks. I use my cell phone when I’m traveling. Give The Rapid a try! 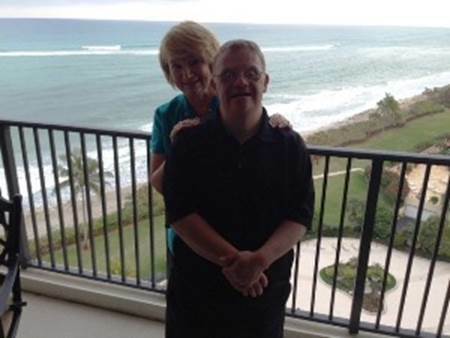 Riding the bus helped me learn how to travel independently, so now I can fly to Florida. Do you think you’ve gained transferable travel skills thanks to riding The Rapid? We know that sitting through a commercial isn’t on the top of many people’s to-do list, but we’re certain we’ve got one worth watching. Have you seen our latest commercials on TV yet? If not, they’re worth a watch. Whether you’re a frequent or casual rider, you understand the importance of public transportation to our community. By connecting us to the places we need to go, public transportation isn’t just bringing the community together, it’s also helping the Greater Grand Rapids area bloom into something even greater than ever before. Enjoy! Can you name the locations featured in our commercial? Share the locations you spotted in our comments section and we’ll send you a FREE 4-day pass! As the construction of the Silver Line’s 34 stations nears completion and we begin planning to open in August, the time has come to think about the impact of transit oriented development. 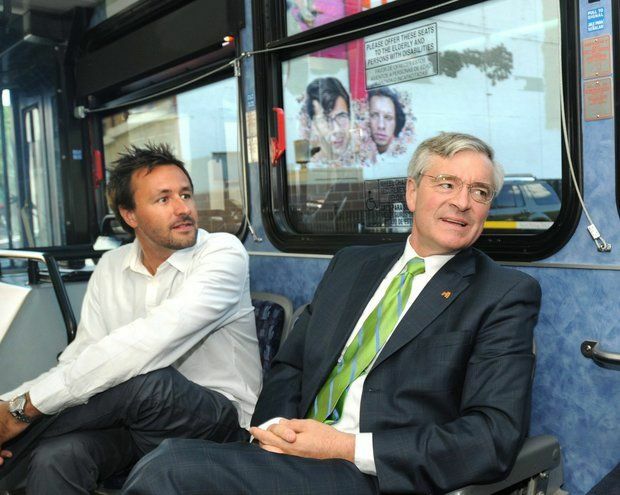 Michigan’s first bus rapid transit (BRT) line rang in at $40 million dollars and was funded entirely by Federal Transit Administration Very Small Starts and Michigan Department of Transportations. In case you haven’t been following the exciting news surrounding this decade-long bus rapid transit project, the Silver Line will run with eight hybrid electric buses, dedicated bus lanes, and traffic signal priority technology to boost efficiency and holds green lights to reduce stoppages. The route acts as a connecting point for local municipalities running mostly along S. Division Avenue from 60th St. in Wyoming, north through Kentwood into Grand Rapids. With new development comes new jobs. 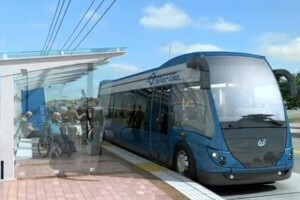 And while real numbers aren’t available for the impact of bus rapid transit in Grand Rapids yet, in 2012 the Federal Transit Administration’s Peter Rogoff predicted the BRT route would see “some 30,000 jobs in the central business district,” as it’s just one-quarter mile off the Silver Line’s route. Significant job impact is highly dependent on the type of development that’s generated. Read more about the potential for transit oriented development, as well as a look into the added value of street cars in Grand Rapids here. Where public transportation goes, community grows. What’s your vision for the Division Ave. corridor in five years due to the impact of the Silver Line? Every day, bus drivers move our community. They ensure we get to work, appointments, the grocery store, and so much more. For hours on end they manage a schedule, check fares, give directions, all while maneuvering us safely through weather and traffic conditions. Being a transit driver isn’t an easy job, your driver just makes it look that way. On Tuesday, March 18th, please join us in celebrating the contributions of our hardworking bus drivers for Transit Driver Appreciation Day. The way you show your gratitude is truly up to you. Whether you smile and wave when you get on the bus or shout “thank you” as you leave, you’re sure to make your driver’s day. If you’re looking to go above and beyond, you can even print out and personalize a thank-you card for your favorite driver. You can even do your part to spread the word about Transit Driver Appreciation Day by sharing this post on your favorite social media platforms. While this isn’t an official holiday yet, we’re happy to participate with a number of other transportation authorities across the nation to ensure it’s established as such. We think it’s a great way to honor the women and men who do their part to keep us moving every day. Have you thanked your bus driver lately? From St. Patrick’s Day to March Madness or even just the much-needed temperature increase, there’s a lot to celebrate this spring. But there’s no excuse for drinking and driving. This is why we’ve teamed up with the Michigan Office of Highway Safety Planning to spread the word about the spring drunk driving crackdown taking place in our community until April 7th. The campaign encourages people to make smarter decisions and catch a sober ride. To spread the word about the cost of drunk driving — not just this spring, but all year long — we’re featuring signs in our buses: “A DUI costs you a lot of green. Catch a sober ride.” This is our way of reminding you to let us be your designated driver. This spring drunk driving crackdown also has Kent County police agencies, including those in Grandville, Kentwood, Rockford, Wyoming and the Kent County Sheriff’s Department, putting additional officers on local roadways. The Michigan State Police will also assist Grand Rapids officers. You may be wondering why this crackdown is taking place. A five-year review of crash data indicates both alcohol use and lack of seat belts play a significant role in fatal and serious injury crashes in March and early April. This time period includes the National Collegiate Athletic Association men’s and women’s basketball tournaments, high school and college spring break periods, and St. Patrick’s Day. “We believe in a safer community, and anything we can do to help local law enforcement have a better control of the situation, we’ll help — it’s better people make wise choices,” said Rapid CEO Peter Varga in an interview with the Grand Rapids Press. We’re happy to be your designated driver this season and throughout the rest of the year. Do you think public transportation is a crucial element in decreasing impaired driving in our community? 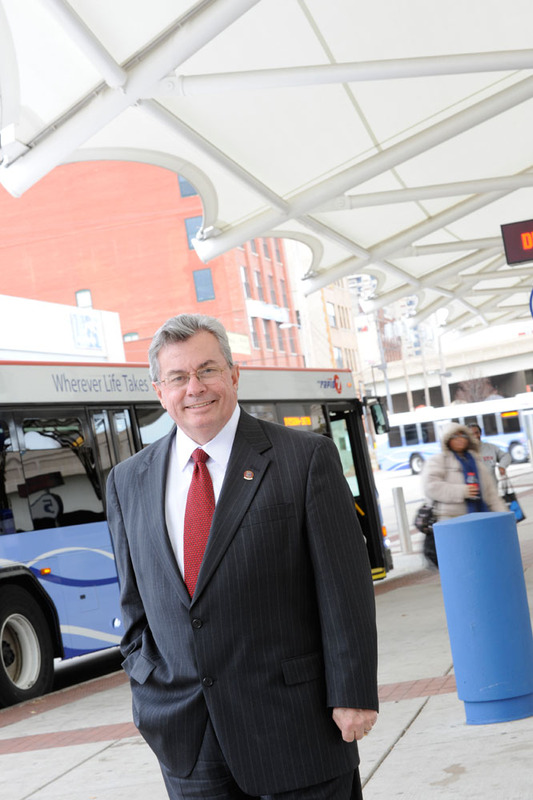 The numbers are in and it’s safe to say 2013 was a fantastic year for public transportation. If you’re one of the many (and we really do mean many) people who rode a bus, train, trolleybus, or subway in the past year, then it’s time to celebrate. Recently, the American Public Transportation Association (APTA) shared that at 10.7 billion trips reported in 2013, public transportation ridership has reached the highest level since 1956. This was the eighth year in a row that more than 10 billion trips were taken on public transportation systems nationwide. While vehicle miles traveled on roads (VMT) went up 0.3 percent, public transportation use in 2013 increased by 1.1 percent. Aside from our one-year ridership record, some of the other public transit agencies reporting record ridership system-wide or on specific lines were located in the following cities: Ann Arbor, MI; Cleveland, OH; Denver, CO; Espanola, NM; Flagstaff, AZ; Fort Myers, FL; and Indianapolis, IN. To add some perspective, public transit ridership is up 37.2 percent since 1995, outpacing population growth, which is up 20.3 percent, and vehicle miles traveled (VMT), which is up 22.7 percent. There are likely a number of factors in play when it comes to growing ridership across the nation. Economic recovery, increasingly carless households, and the improvement in employment rates are all valid areas to note. In fact, 60 percent of the trips taken on public transportation are for work commutes. 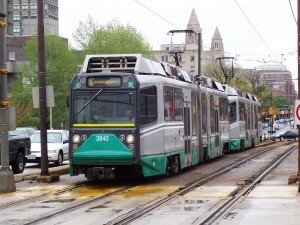 Read the full press release from APTA to find the entire ridership report and other insight here. What do you think are some of the major factors accounting for public transit ridership growth across the U.S.? Share your thoughts in the comments! Improving access to jobs and other opportunities starts with more transit options. On March 5, 2014, U.S. Transportation Secretary Anthony Foxx highlighted $2.5 billion recommended in President Obama’s Fiscal Year 2015 budget to advance the construction or completion of 26 rail, bus rapid transit (BRT), and streetcar projects in 16 states. These projects will do far more than simply increase mobility options around the nation. They will also create or sustain thousands of good construction-related jobs, as well as helping communities expand transportation choices offering new opportunities for hard-working families. Secretary Foxx pointed out that this step highlights the nation’s commitment to ensuring that every American has access to the ladders of opportunity that lead to success – and access to public transportation is essential to making that happen. Foxx also shared that President Obama’s bold vision for investment in 21st century transportation infrastructure doesn’t just remove barriers to success for millions of Americans, it also strengthens our nation’s economy today and in the future. 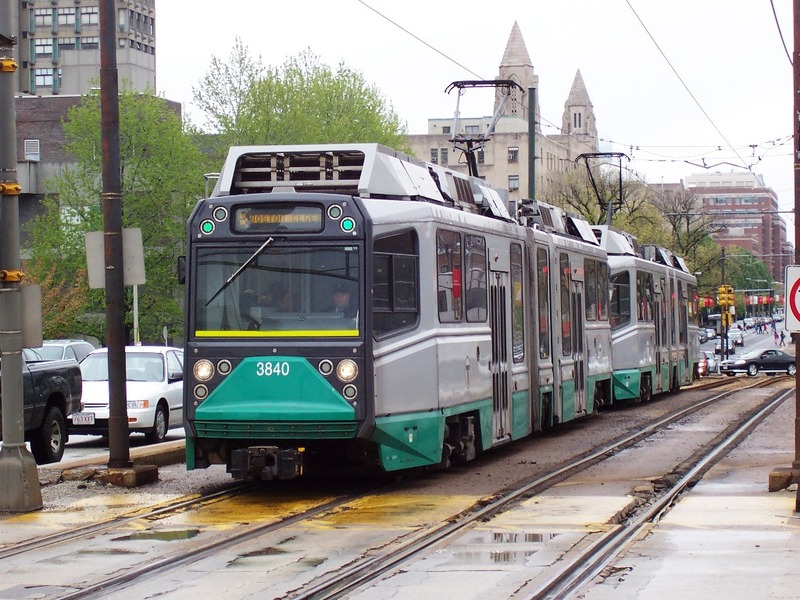 Read the full press release from the Federal Transit Administration here. Have you ever looked at our system map and wondered how we come up with new routes? You’re in luck! In this video, Rapid Senior Planner Kevin Wisselink shares some insight behind ideal route designs. What other questions do you have about your routing or service in general? Leave us a comment!